Published on 23. 09. 2011 in current affairs. 2 Comments Tags: death penalty, Troy Davis. 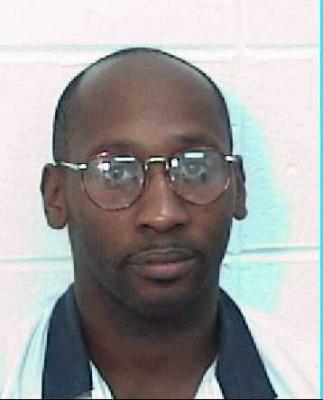 – Troy Davis’ last words to his supporters. Published on 21. 09. 2011 in current affairs. 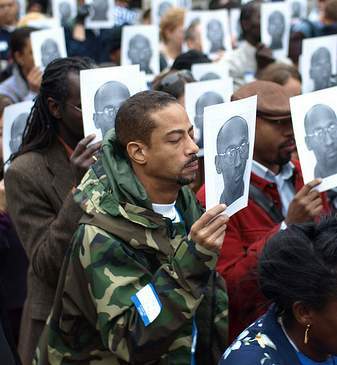 Closed Tags: death penalty, Troy Davis. The state of Georgia is about to follow through on another gross potential miscarriage of justice today as it plans to execute Troy Davis. Convicted in 1991 of killing a police officer, Mark McPhail, the majority of the prosecution witnesses have since recanted their depositions, but the conviction has been upheld by the state, which has consistently refused a retrial and yesterday denied a last-ditch effort to obtain clemency for Davis. As I’ve written about here before, this is not a singular case. There are many such dubious convictions, primarily of minority individuals, who consequently have served long prison terms and face the ultimate punishment for crimes they may well not have committed. The establishment seems to have a blindsided trust in the infallibility of an American justice system, which refuses to consider that it might be at fault, even when presented with evidence that overwhelmingly suggests that they may be about to kill an innocent man. That so many Americans continue passionately to defend the death penalty (some going as far as cheering Republican presidential frontrunner Rick Perry for the number of people he has killed), only makes the situation more chilling. Please consider the case (Davis’ Wikipedia entry has the basics and there’s more here), but don’t spent too long: join Bishop Desmond Tutu, President Jimmy Carter and thousands of others and go and sign the petition to grant Davis clemency before it’s too late. UPDATE: Read the New York Times editorial on the execution “A Grievous Wrong.” An excellent summary.